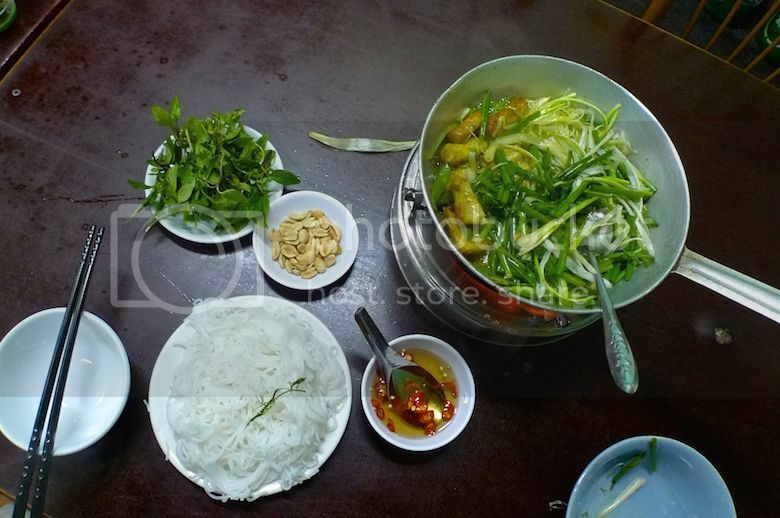 I really do not know why Cha Ca La Vong is so famous! Why is it even mentioned in almost all travel guide books on Hanoi is beyond me! It's even listed as one of the top 100 things you must try before you die by cuisine experts. Really? You see, I don't think it's worth going to this restaurant at all! Let's backtrack to my last day in Hanoi. I have just visited Vietnam Museum Of Ethnology (will blog about this later) and was rushing back to the Old Quarter just to try this restaurant which was highly recommended in most travel guide books. I was rushing because I needed to reach the airport by 7pm to take my flight home. I did not want to miss this most talked about restaurant before heading home. That's Cha Ca Street in the Old Quarter. Can you see the small white signboard on the right with the red words "Cha Ca La Vong"? When I entered the restaurant, a guy inside told me it's not opened for dinner yet, and asked me to wait till 5pm. At that time, it was 10 minutes to 5pm. So I walked leisurely around the streets and returned right on the dot at 5pm. Unfortunately, I was told that the restaurant was still not opened yet and I would have to wait till 5.15pm. I was not very pleased on hearing that. I thought the least they could do was to let me sit down and wait but no, they did not do that. What's even worse was the guy who spoke to me was not exactly apologetic and I would even say he had quite a rude "take it or leave" attitude. Well, since I was so hard up for the "so called famous cha ca dish", I guess there's nothing I could do but to go for another leisure walk around town. I wondered if I would even make it back to my hotel on time as I had already booked the taxi to the airport which would arrive at my hotel at 6pm to pick me up! Anyway, at 5.20pm, I returned to the restaurant, and they ushered me upstairs. There is no menu in this restaurant because they have only one dish - the much talked about cha ca or grilled catfish, supposedly a Hanoi street delicacy. The grilled fish is usually marinated, grilled on charcoal, then fried in oil. But they were fast - immediately after I sat down, a staff came out with a burner and a small pan on top containing the grilled fish already frying in oil that's probably flavoured with spices. 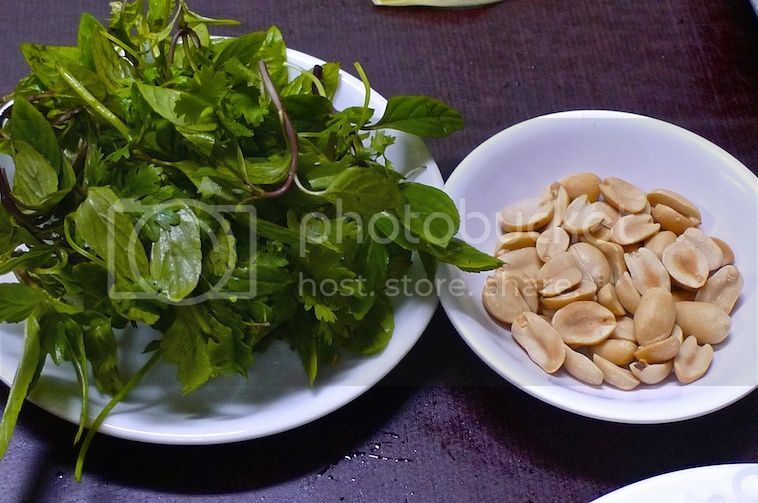 She also brought out side dishes consisting of fresh herbs, peanuts, fish sauce with chili and a plate of rice noodles. 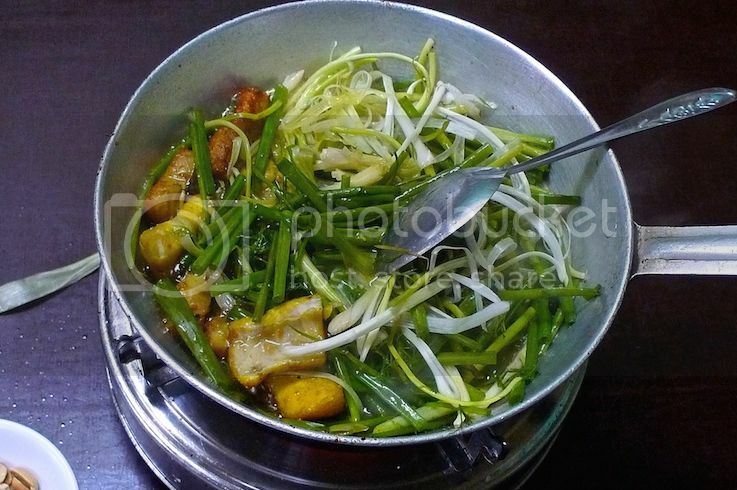 The staff then put in some spring onions and fresh dill into the hot pan and stirred them with the fish already inside. And it's done - ready to be eaten. I did not really know how to eat it but after having been in Hanoi for five days, I did not think it was that difficult to figure it out. 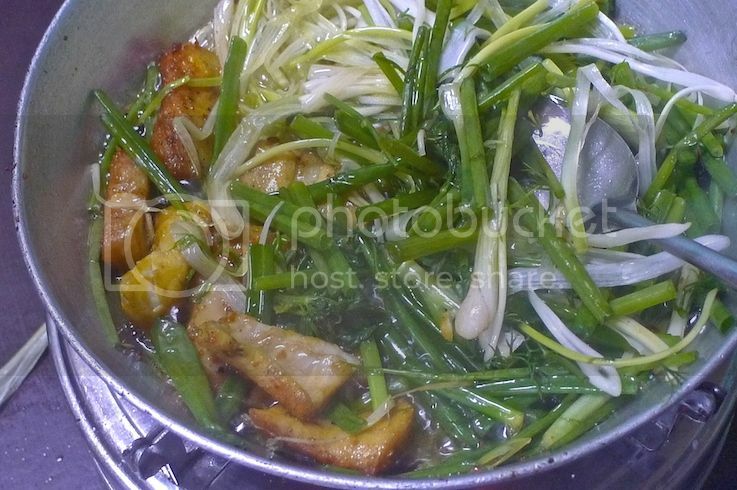 What I did was place some rice noodles into the empty bowl, add in one or two pieces of the grilled fish, some herbs and peanuts and poured in some of the fish sauce and just scoop them up with my chopsticks. No. A huge, big NO. I would even say it's bland. Sorry to say that, but I had expected something more awesome than this after hearing so much about it! And guess what's the price tag? A very expensive 170,000 VND (US$7.80)!! Drinks were not even included - you would have to pay extra for drinks! OK even with the food not living up to my expectation, maybe the interior of the restaurant would somehow make it worthwhile for a visit right? NO again. There's nothing to see inside the restaurant - it was just filled with wooden tables and chairs with some dusty cabinets and a shrine near the wall. Luckily there were ceiling fans to keep you cool or it would be quite hot inside. 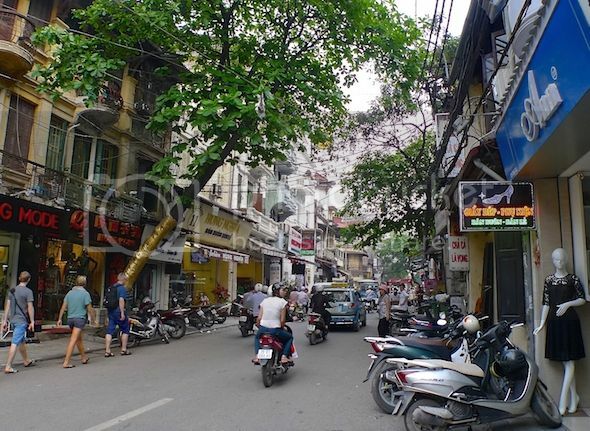 I heard Cha Ca La Vong has been operating for over a century, encompassing five generations, making it one of the oldest restaurants in Vietnam! Maybe that's why it is so famous. Maybe that's why the staff were a little stuck up. Whatever it is, I am not stepping back into this restaurant! 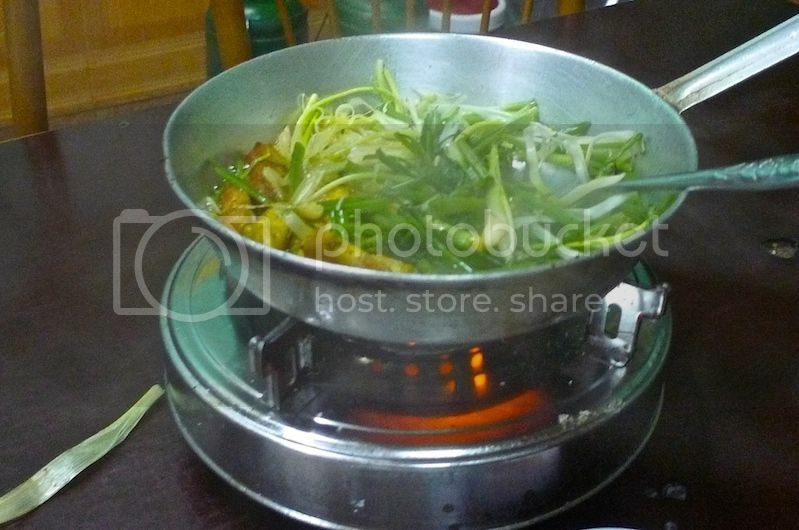 Perhaps I will try this dish again but at other cheaper restaurants in Hanoi.